I received an ARC of this novel from the author in exchange for my honest and unbiased review. Exposed, Moira Ashe flees to the city of Trident Bay seeking passage out of the city. Denied by every ship in port, her salvation comes from Caspian, hero, chieftain and business leader. He promises to get her out of the country, but only if she can slay the legendary Terror of Trident Bay. Moira's hunt goes awry as she is caught in the city's power struggle, a peasant uprising and romance, all while she races to leaves Fotland's shores before word reaches the city about her identity. 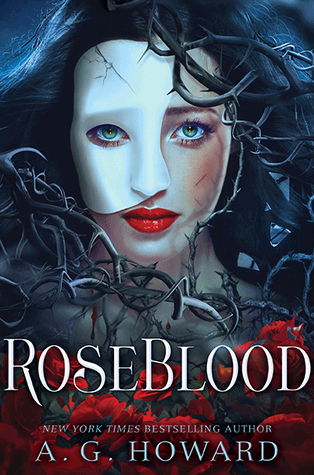 When the first book in this series was released, I devoured it. You can read my four star review here. The moment I found out the sequel had been released, I raised my hands in the air and screamed "Gimme! Gimme!" For most people, that's an exaggeration. For me, that's a very true statement that terrified the ever-living-love out of my poor dog. I felt bad for Rascal, but pretty good for me that day. Lately, I've been splitting my reviews into things that I do and don't like about the books I read. Bertram made this IMPOSSIBLE for me. So, I'm just going to go with the top three reasons you should read this book! Hello World Building! The lack of world building was my biggest complaint about Moira Ashe: Enemy Within. Unsurprisingly, it was also my biggest concern going into Kindred Spirits. I was not disappointed. This novel is filled with details of the world that Bertram has created and this world truly comes to life. I could see each piece of it as clearly as the world outside of my window. I doubt that Bertram took the advice for this improvement from my blog, but I'm going to act like he did. I'm just smug like that. Bertram chose not to pull any punches when it came to Moira's development. When she felt joy, so did I. When she felt pain, I wept. It was not a pretty sight and I'm not proud of it. It was fascinating to see Moira as more of a human and less of a hunter in this piece. Granted, she still hunts. That's what her role is. But I enjoyed seeing Bertram develop more of her humanity in this piece. This was especially true in her relationship with Caspian. And, once you finish the novel, you can curse Bertram right along with me because THAT WAS NOT OK! Although it felt strange at first, I loved that this book read like a series of video game cut scenes. This style definitely sets Bertram's writing apart from the others and was an interesting way to move from location to location. It helped the story to move along so that more could be accomplished despite the book's brevity. Have you read any of Bertram's works? What do you think of them? Do you typically enjoy werewolf novels? What Have I Read Recently? 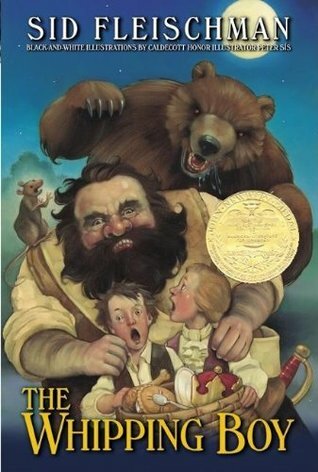 The last book I read was The Whipping Boy by Sid Fleischman. I love this witty story and would love to use it as a precursor to The Adventures of Huckleberry Finn. 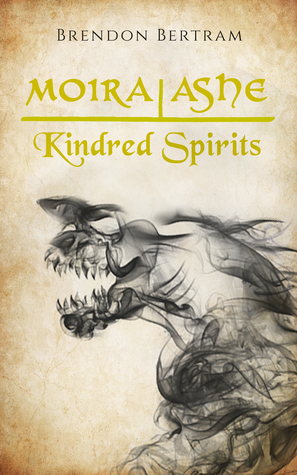 I'm currently working my way through Moira Ashe: Kindred Spirits by Brendon Bertram. I am so in love with this series! I was excited to review the first book, which you can read here, and am looking forward to posting my review of Moira's next adventure. Bertram definitely knows how to charm his readers! 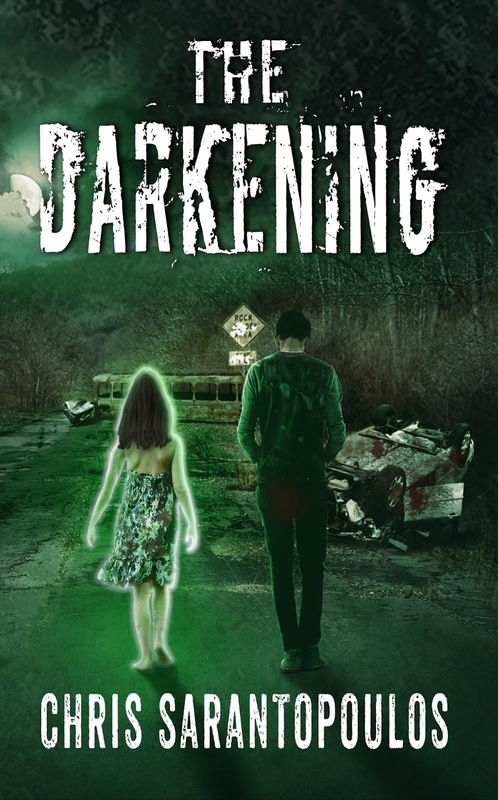 The next book on my TBR is The Darkening by Chris Sarantopoulos. I'm really excited to have gotten an eARC of this book! Don’t fear the dark. Fear the light. The end came when light changed. It decimated humanity, leaving scattered bands of survivors stumbling in the dark. Faced with saving himself or his family during the apocalypse, John Piscus made the wrong choice, and has been living with the guilt ever since. When a glowing girl shows up at John’s shelter begging for help, his instincts tell him to kill her. After all, light kills. But when masked troopers tasked with capturing survivors come after them, it’s up to John to protect himself and the girl. Not only may she hold the key to reversing the lethal effects of light, she could also be the one who can save his soul. Neither the publisher nor the author requested this review. Fun Fact: I am a HUUUUUUUUGE Phantom of the Opera fan. I have read the book. I've seen the different versions. I fall deeper and deeper in love with Erik's tortured soul each time. I am also a huge fan of re-told tales. When I found out that there was going to be a POTO re-telling, I almost died from happiness. There were literal tears and I squeaked like a flipping chipmunk. I am truly ecstatic to review it for you. Thorn. What a well-written character! I loved that he was such a deep thinking individual who truly remained loyal to the people he cared for. Not only was he a tortured soul in childhood, he must make several decisions throughout the novel that test this loyalty. It cannot be easy to be Thorn, let alone to write a character as complicated as he is. I loved that Howard chose to create a second phantom figure. I felt like this was a very powerful move because it allowed the possibility of the original story to go full circle. The tone of this piece is spooky yet mystifying. I became truly engrossed in the plot and wondered what would happen next at every turn. Although this is something I hope for in every book, I felt that Howard did especially well when creating tone. Talk about twists and turns! Right when I thought that I knew what was going to happen, I was completely surprised. Right when I thought my favorite character died (yes, I cried and cursed Howard's name) I found out what had really happened to him. I enjoyed the roller coaster plot of this novel. The ending was beautiful. I know that many other people have thought it was a bit cheesy, but after some of the grim points of this book, it needed some cheese. I'm sure that some of this was done to keep the mystery going, but this book severely lacked world-building. It seemed like the world it was in had absolutely no rules. This may seem freeing, but resulted in severely downplayed drama. I wish Howard had been just a little darker in this piece. There was so much info dumping that I got lost. I found myself re-reading several parts to figure out what exactly had happened. It would have been a HUGE improvement for Howard to slowly add the pieces instead of trying to create and explain a world that simply could not be contained in a 432 page book. I am glad that Howard was willing to take risks. Some of the decisions that she made in this piece weren't quite what I (or any other reviewer) expected. However, I'm not sure that these were all good decisions. I love a good fantasy piece, but there was so much going on in this novel that there was no way that it could be cleanly written. It started to feel like she was pouring paint, or plot, on the page and hoping that something would stick and make a pretty picture. Overall, I thought that this was an entertaining book that I will read again at some point. Unfortunately, it didn't live up to my expectations.